Marvel Studios is willing to tackle many visual styles in its superhero films, from the sepia-toned ‘40s look of Captain America: The First Avenger to the glittering fantasy landscapes of Thor’s Asgard. In a way, Guardians of the Galaxy is the apotheosis of Marvel’s “genre-within-genre” approach to superhero filmmaking—the space-opera format granted director James Gunn unfettered license to realize scene after scene of wild sci-fi ideas, from space cops with star-shaped gravity-manipulating ships to a city inside the severed skull of a dead celestial god, all while somehow still existing in the same universe as Hawkeye. Guardians looked damned beautiful doing it too, thanks in part to visual effects company Method Studios. 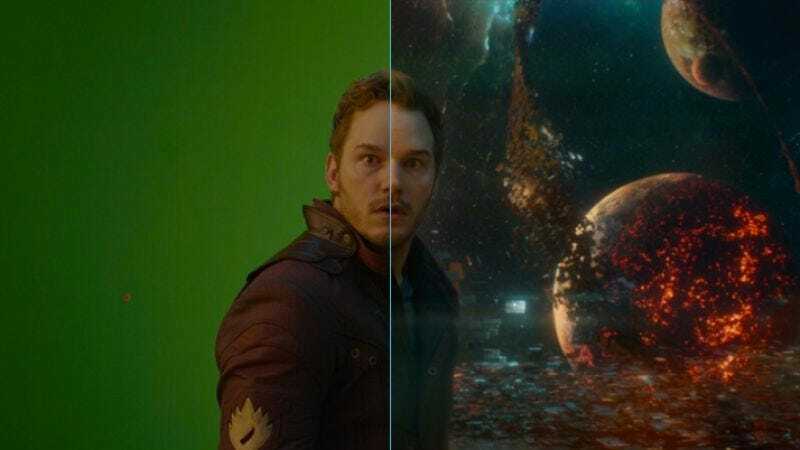 In this VFX breakdown, Method shows a small slice of how they brought the most Kirby-esque of all Marvel films to life.